How many episodes of Better Call Saul have you seen? Q: What "Breaking Bad" Easter eggs are in "Better Call Saul"? 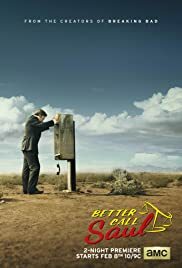 Q: Why is Saul Goodman being called Jimmy McGill? Watching the first episode of 'Better call Saul' just plunges you right back into the world of 'Breaking Bad'. If you watched the latter of course, nostalgia will be an inevitable delicacy. I do hope that it will unfold as greatly as its father and though not walk in breaking bad's path of making you love a narcissistic anti-hero, this one will prove to be of quite the same flavor. To top it off, feels good seeing old faces. I just wonder if they have in mind to converge it with the breaking bad time-line which would be just plain awesome. it sure seems that Saul and Walter are opposite sides to the same coin. 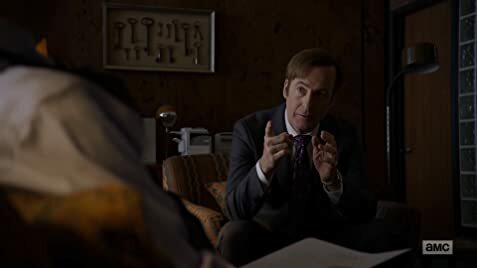 Bob Odenkirk's acting is as always genuine and just awesomely good, for those of you who watched Fargo, the series, you'd know he is fairly versatile and to up the task of being the main character of his own series. Do note that Better Call Saul is utterly different from your traditional law drama. To top it off, feels good seeing old faces. 85 of 135 people found this review helpful. Was this review helpful to you?